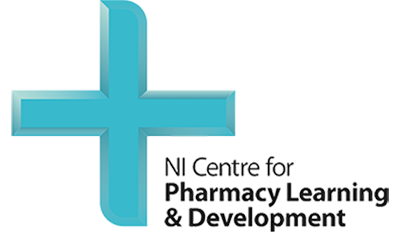 The Northern Ireland Centre for Pharmacy Learning and Development has a permanent staff of ten, in addition to over 100 local tutors. 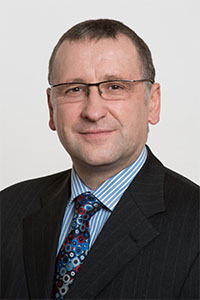 Colin Adair has been Director of the NI Centre for Pharmacy Learning and Development since 2001, having first joined the Centre as Assistant Director in 1992 following a career in clinical pharmacy. As Director, Professor Adair has focused on pharmacy workforce development and expanded the Centre to include four main areas: live education and training, distance learning, pharmacy technician development and vocational training. Interprofessional education also forms an important and growing part of the Centre’s work, which is promoted via medicinesni.com. Professor Adair has an interest in the effectiveness of professional education and how this improves the practise of learners. He has authored over 140 research and educational publications. In recognition of his work, Professor Adair has received three National Training Awards and a JISC Award for innovative eLearning in higher education. He has membership of, served on or advised numerous expert panels on the learning needs of the health professions linked to National Health Service reforms and workforce development. 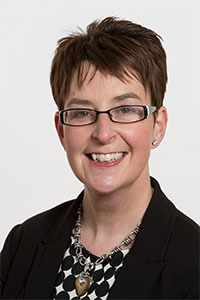 Heather Bell was appointed Assistant Director for Live Education and Training in 1999. Having graduated from Queen’s University Belfast in 1994, she completed her pre-registration year in the community pharmacy sector before returning to QUB to study for a PhD which focused on the extension of the role of the community pharmacist. Following completion of her PhD, Heather was appointed to a one year temporary Lectureship in the field of Pharmacy Practice where she was involved in undergraduate teaching. Her interest in effective learning and teaching methods has continued since this time and in recent years she has completed both a Certificate in Adult Education and an Advanced Certificate in Lifelong Learning. She is currently a member of the Higher Education Academy. In her role as Assistant Director, Heather has responsibility for the provision of NICPLD’s Live Education and Training Programme which provides learning opportunity for pharmacists working in all sectors of the profession. This includes the development of programmes of learning linked to ongoing service developments within the community pharmacy sector eg. Substitution Therapy, Medication Review, Repeat Dispensing. Dr Bell is fully committed to the concept of continuing professional development and actively contributed to the Steering Group on CPD that developed the CPD system that is currently used by all pharmacists in N. Ireland. She continues to support the implementation of CPD in N. Ireland by engaging in research in this area. Heather’s other main area for development within NICPLD is the field of multi-disciplinary learning and she currently sits on a committee with members of the Northern Ireland Medical and Dental Training Agency (NIMDTA) to drive this agenda forward. Fran Lloyd was appointed as Assistant Director for distance learning in 2003. Since joining the centre she has been responsible for the development of the centre’s distance learning courses, which are mainly print-based but more recently have included online courses and video lectures. In addition to development of new courses, her remit extends to maintaining currency and accuracy of over 25 published courses and in 2008 she introduced a continuous systematic review procedure to address this. Updates to distance learning courses are available to download from this website. In addition to core distance learning, she was responsible for developing and implementing a postgraduate certificate in independent and supplementary prescribing for pharmacists. This is the only pharmacist prescribing course accredited in Northern Ireland and indeed was the first pharmacist independent prescribing course accredited in the UK. 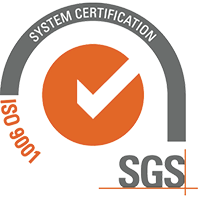 To date, over 120 pharmacists have undertaken this training and qualified as prescribers. Fran is a member of the regional non-medical prescribing steering group at the Department of Health and her research area is on pharmacist prescribing. In 2009 she completed her PhD on the topic of pharmacist prescribing. Fran has a background in education having worked as a Teaching Fellow at Queen’s University and a Teacher Practitioner at The University of Nottingham. She has a post-graduate clinical diploma and a post-graduate certificate in academic practice and is a member of the Higher Education Academy. 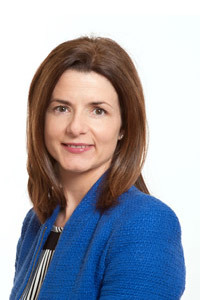 Laura O’Loan was appointed Assistant Director for Vocational Programmes in February 2008. She spent the first ten years of her career as a hospital pharmacist in England, before moving to London Pharmacy Education and Training (LPE&T) in 1997. Her remit at LPE&T was vocational training for student and qualified hospital pharmacy staff, and she developed and implemented numerous distance learning and live education and training programmes. Laura won the 2006 Guild of Healthcare Pharmacists/UKCPA IVAX Leadership Award for her work at LPE&T. Since moving to Northern Ireland in 2005, Laura has helped out at NICPLD, covering both the distance learning and live programmes. As Assistant Director for Vocational Programmes, Laura has worked with hospital pharmacists from across Northern Ireland to develop and implement a new vocational training (VT) programme for junior hospital pharmacists, which is due to start in October 2008. The main focus of the VT programme is on experiential learning in the workplace, encompassing rotations in the dispensary, technical services, clinical / medicines management, and clinical effectiveness. Rotational competencies and practice activities will help pharmacists to develop and demonstrate their competence. Following implementation, Laura intends to evaluate and adapt the VT programme, and to consider the potential for extending it to other areas of practice, such as community pharmacy.